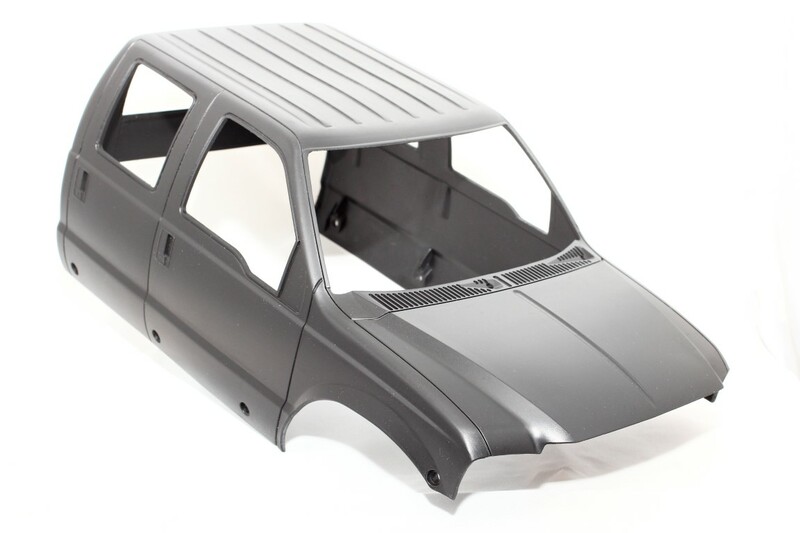 This is a 2017 NEW deep and short bed for Tamiya Ford F350 Hardbody. SWB version. 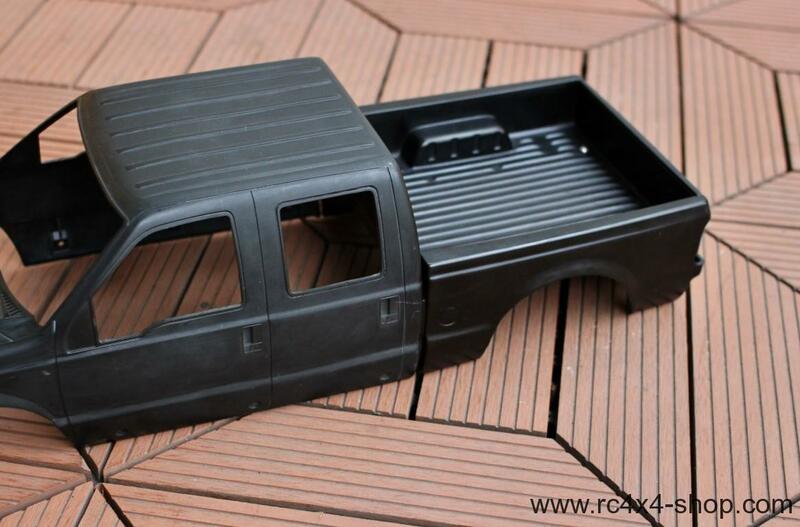 This bed fits also Ford F350 Double Cab hardbody by Loops Model - available in our store! 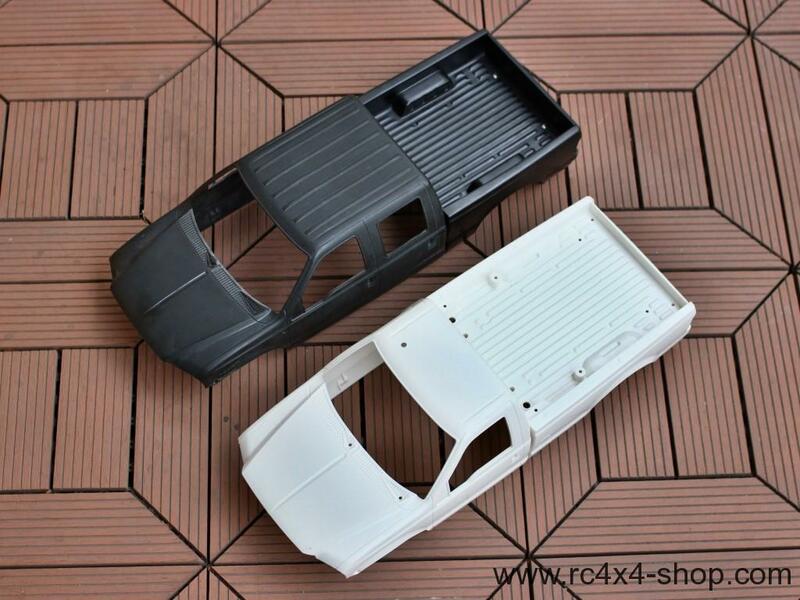 All parts from Tamiya body are compatible with little modification. 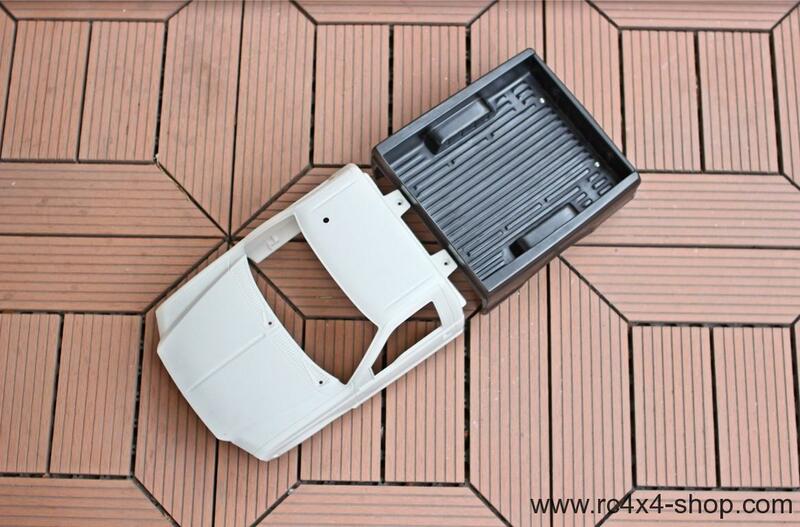 You need to cut out rear stock bed mounts and attach the body using M3x10 screws and lock nuts (included!). You have to cut out a part of tail lights and attach them with CA glue! F350 Cab and all body parts! 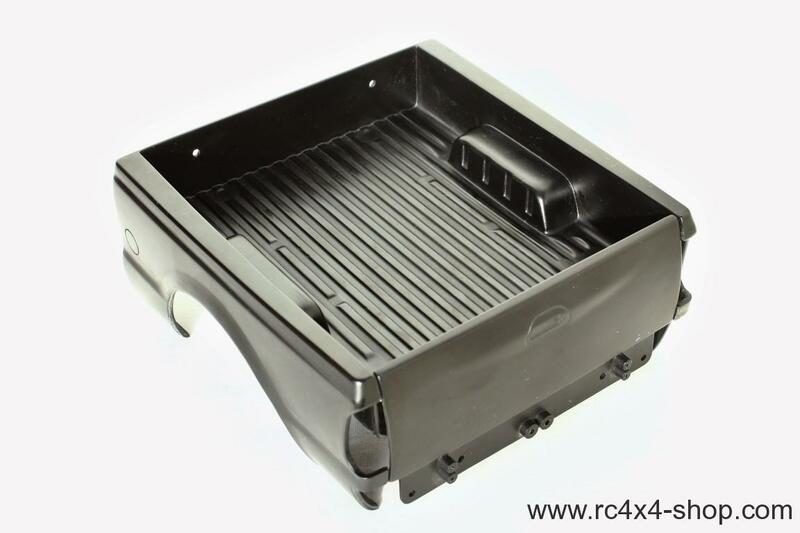 If you own Tamiya F350 Body you can simply upgrade it with this short and deep rear bed. 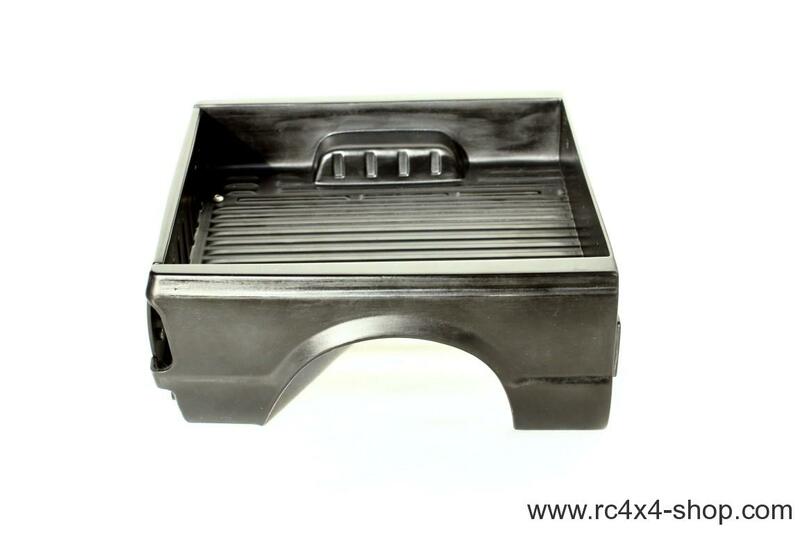 Ideal for modified racing truck builds! 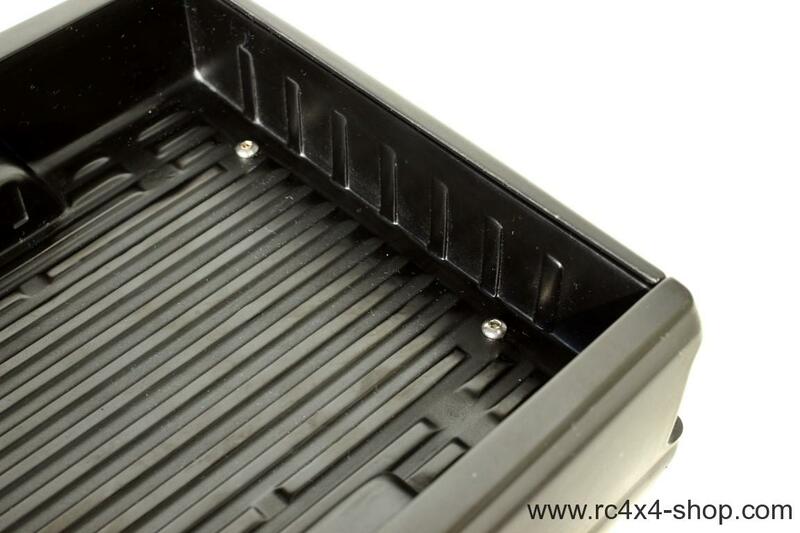 Just remove all parts from Tamiya bed and place them on this NEW bed. Please be sure that this body part requests some work. Tamiya parts fits well but they request modifications like trimming and sanding for perfect fit. We recommend to attach the bodyparts with CA glue! 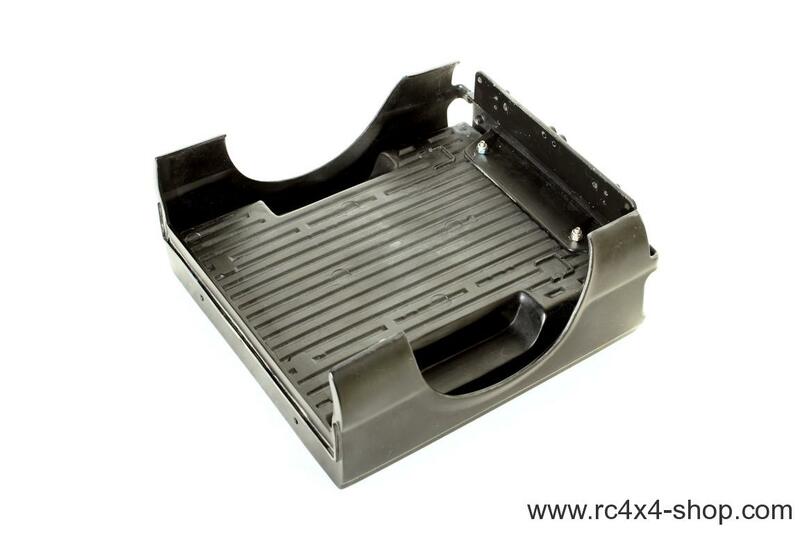 Rubber Fenders for Tamiya F350 fits and are being sold separately in our store! When attaching body parts you have to abrade inner side of fenders and attach with quality CA glue. Products are completed of 90%. It is necessary to abrade the contact area before final assembly. Products may contain small extra parts from manufactury that needs to be cut out. 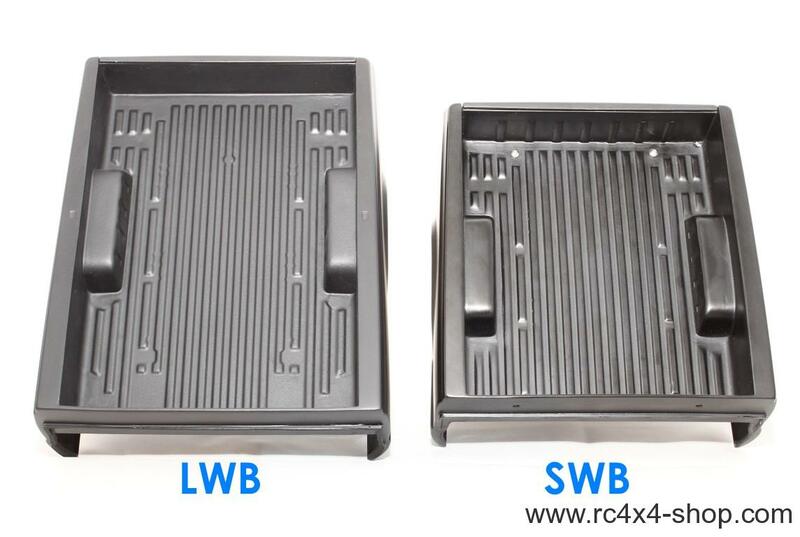 Products may contain small air bubbles on the non-visible parts – they do not affect the strength. Use high quality CA glue to attach. Do not use Revell Contacta Liquid or Styrene Bondene and similar types of glues – they are not suitable.